Jane Golden, founder and executive director of the Philadelphia Mural Arts Program, will present a talk on Monday, April 7, at 3:00 p.m. in Falvey’s Speakers’ Corner. She will discuss the Mural Arts Program and present a slideshow of some of the latest, most impressive Philadelphia murals. Mayor W.Wilson Goode (mayor 1984-1992) originally hired Golden to help combat Philadelphia’s graffiti problem. She reached out to the graffiti writers and, recognizing their artistic talents, began to provide opportunities for them to utilize their skills as mural painters in appropriate settings. 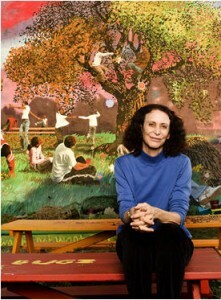 Golden was appointed director of the Mural Arts Program in 1996 when it was placed under Philadelphia’s Department of Recreation. She has supervised numerous complex public art projects which have helped transform Philadelphia neighborhoods and allowed thousands to experience art in every day settings. She has undergraduate degrees in fine arts and political science from Stanford University and a Master of Fine Arts degree from Rutgers University. Golden received the Adela Dwyer – St. Thomas of Villanova Peace Award from Villanova in 2008. She was awarded an honorary Doctor of Fine Arts degree at commencement in 2008. She also holds honorary PhDs from Swarthmore College, University of the Arts, Widener University and Haverford College. This event is co-sponsored by the Department of English and its concentration in writing and rhetoric, the Cultural Studies Program and Falvey Memorial Library. It is free and open to the public. Article by Alice Bampton, digital image specialist and senior writer on the Communication and Service Promotion team.